In 2016, 24 youth football players from a North Carolina high school participated in a study led by researchers from the University of Texas Southwestern Medical Center. The study aimed to understand changes in brain tissue activity following a single season of high school football. The players wore special helmets equipped with a Head Impact Telemetry System (HITS) during all practices and games. 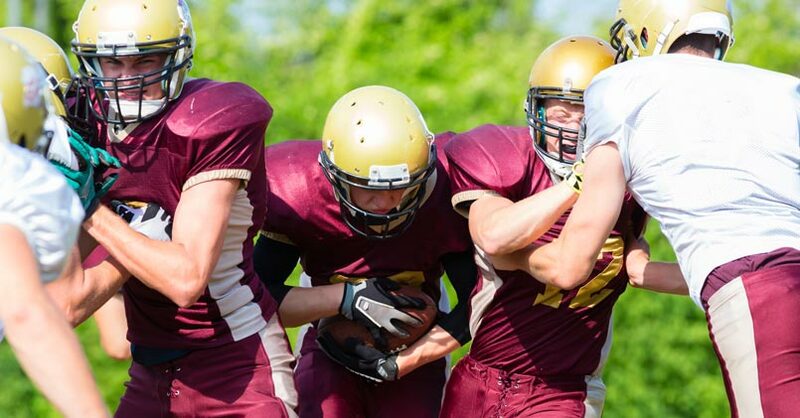 What the researchers found echoes what medical professionals have been saying about football for years: changes in brain activity from repeat impacts could have negative, long-term effects on players who participate in contact sports. Internal sensors collected impact data including location, strength of impact, and direction of force. None of the students suffered a concussion during the regular season, but before and after brain-imaging scans revealed changes in white matter activity (the bundles of insulated wiring that carry electrical signals throughout the brain), primarily (but not exclusively) in players that experienced regular front-facing impacts like receivers or linemen. The research suggests that repeat impacts, even those that don’t result in a concussion, are dangerous and could inflict long-term behavioral effects such as depression, memory loss, or movement limitations. The researchers also note the study is not conclusive in determining how these injuries recover during the off-season or over the course of each player’s life. Nearly every injury imaginable can be sustained on a football field, but in recent years, critics of contact football have focused on concussions, traumatic brain injuries (TBIs), and a fairly new and controversial condition known as second-impact syndrome (SIS). According to the Centers for Disease Control and Prevention (CDC), traumatic brain injuries are caused by a “bump, blow, or jolt to the head that disrupts the normal function of the brain.” Concussions are very mild traumatic brain injuries. According to the National Federation of State High School Associations, football is the number one high school participation sport in the country; more than one million teens played high school football in 2016. There’s currently no formal oversight on concussions and TBIs for middle, high school, and collegiate sports; 30 percent of high schools don’t have access to professional trainers; and 50 percent don’t have those trainers available for practice. 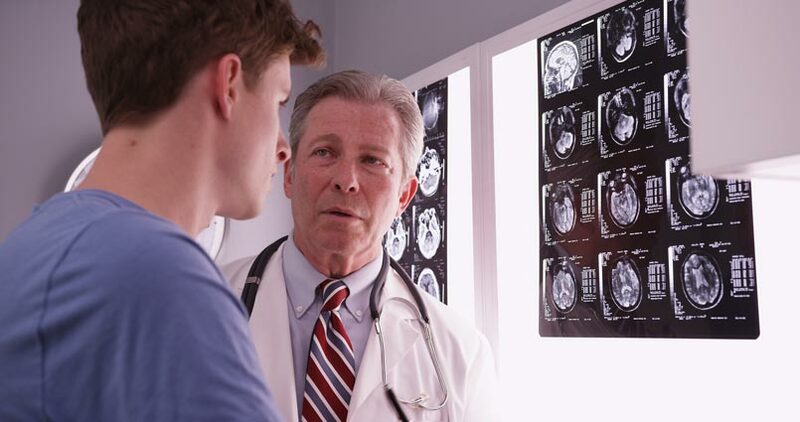 In most cases, an accident involving a concussion or minor TBI is treated effectively, and patients are instructed to avoid subsequent impacts to ensure a full recovery. Second-impact syndrome occurs when a person suffers a concussion or TBI and within a short period of time sustains a second impact. The second impact (mild or severe) can cause rapid brain swelling and bleeding that can result in death or permanent disability within minutes of the second event. This rare but potentially fatal condition is especially dangerous among youth players because the human brain doesn’t fully develop until age 25 or so. This also means that primary impacts and concussions take longer to heal in youth players. The death toll of second-impact syndrome is shifty; cases are rare and recognizing SIS isn’t widely standardized. According to some reports, as many as 17 youth football players have been injured or died from SIS. In the wake of a $1 billion legal settlement filed by former NFL players who report various neurological disorders from injuries sustained while playing in the league, coaches, parents, and state legislatures are taking a hard look at a correlation between brain injuries and contact sports like football. In an effort to make football safer for youth players, many states have adopted strict laws outlining training requirements as well as return-to-play protocols for injured players. In 2011, North Carolina passed a law known as the Gfeller-Waller Concussion Awareness Act, which, among other things, outlines the safety guidelines for returning to play after a concussion. Like in other states, the act made written clearance from a medical professional necessary before a concussed player could return to play. Athletes need written clearance from a medical professional after a concussion to resume playing football. However, in February of 2017, a new bill (HB 116) was introduced giving parents and legal guardians the authority to give clearance to student athletes who may have suffered a concussion. This bill is controversial because it may put students at unnecessary risk. Parents or guardians may not be trained to recognize and evaluate a student’s condition. Giving improper clearance could be fatal. Education and training are key to understanding the signs and symptoms of a concussion or traumatic brain injury. Coaches and parents should follow the guidelines for the Management of Sport-Related Concussion and practice caution when assessing a player’s injuries on and off the field. North Carolina law requires coaches, trainers, teachers, and parents who participate in interscholastic athletic activities to sign a head injury information sheet; moreover, any player that is suspected of injury is not allowed to continue play the same day. If you or someone you know was injured, our experienced brain injury lawyers may be able to help you. At DeMayo Law Offices, L.L.P., we help families every day. Call us toll free at 877-529-1222 for a free case evaluation, or fill out this form online. Be sure to follow us on Twitter or like our page on Facebook for up-to-date information.